If you have a group of people who you have organised a social event or sightseeing tour for, and just need the transport, then look no further than Hireyourtransport.com. We have many years experience in this field and know the best landmarks and scenic roads to take. We can provide you with a choice of transport options for your sightseeing tours, whether you’re after a coach, or larger capacity double decker bus, our buses and coaches provide comfort and facilities such as toilets, drinks machines, air conditioning, seat belts, and on board sound systems. Our vehicles are fully accessible so regardless of the ages and needs of your group, we have something that will be the most suitable fit. 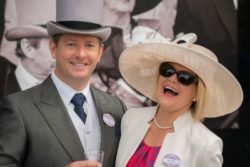 We are ideally placed for the South East’s very best race events including The Derby, Royal Ascot plus Lingfield and Sandown race courses. Have your guests travel in style to the event and be picked up after racing has ended for a trip back to you drop off point even taking in a welcoming pub stop if you wish. We are able to show you places as the bus drives by, but we also drop off passengers at predetermined landmarks and attractions, allowing for sightseeing, and then being there for when you are ready to go onto the next scheduled place. This is the ideal solution for a group of clients who want to see London, or anywhere else, with ease, without a need for worrying about transport. Get in touch with us at Hireyourtransport.com to discuss your bus hire needs for race days and sightseeing tours, we have many transport options at competitive rates. We are experienced and flexible and aim to accommodate your needs – simply get in touch to discuss things further.